It’s a job in itself working in my building. There’s the 10 minute walk through a hamster tunnel/ skywalk and 2 security check points before you even get to your desk. This generally causes me to stay on the floor until it’s time for me to go. A few days ago, I decided to do something different- go outside for lunch. Completely appreciative of the experience I wanted to share it with you. My co-worker decided to take advantage of the last days of summer and our hour lunch by going out to discover food. I’m a sucker for something delicious and nutritious! As we were walking down Brush, we couldn’t quit figure out where to go. 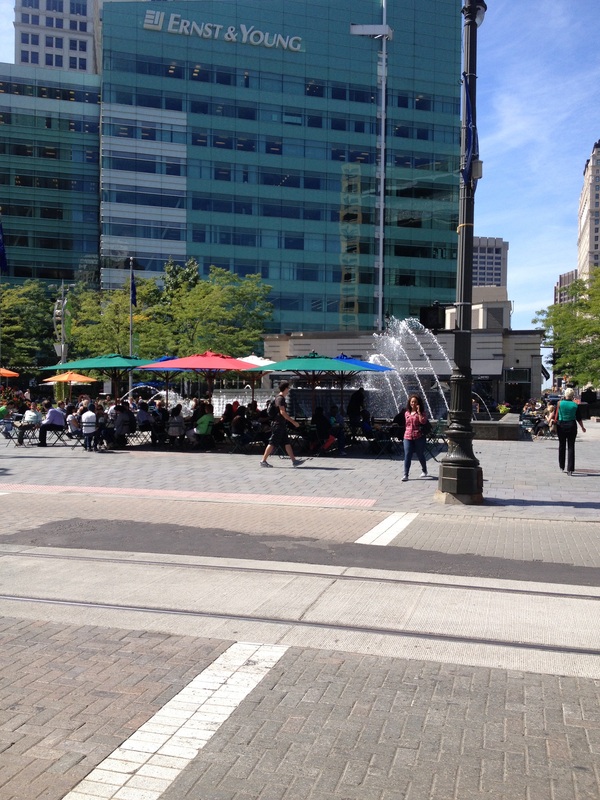 In haste we decided to go see what was happening at Campus Martius. 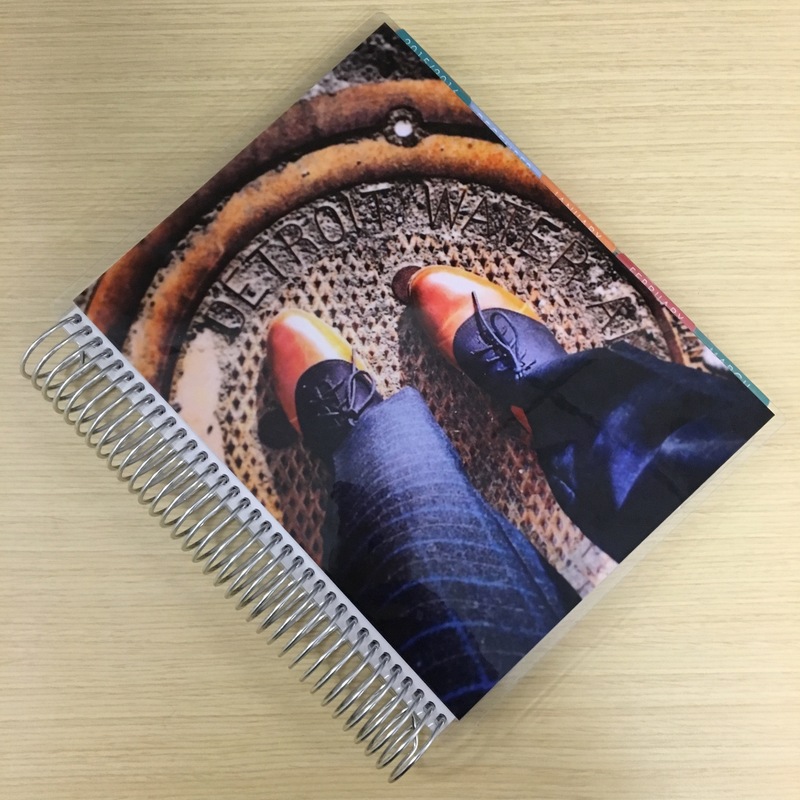 What we found was good and worth the 15 mins sliced from our final deadline. 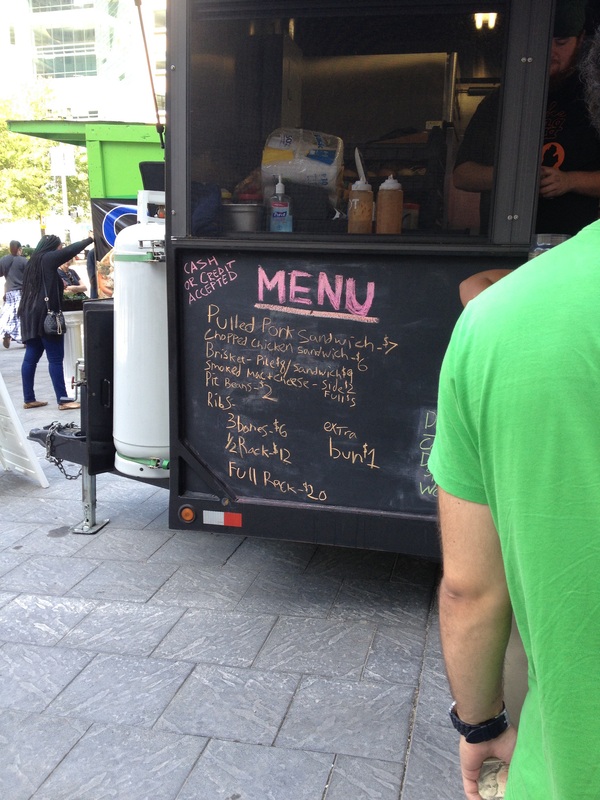 There were food trucks and ample seating to enjoy the afternoon. After some quick investigative work, I decided on the brisket sandwich from Smokehouse which came with coleslaw. I really don’t eat anyone’s slaw but my mother’s. (Apologies for not taking a picture of it for you, I really didn’t know a post would manifest from the 45 min excursion.) She chose the gyro and lemonade. 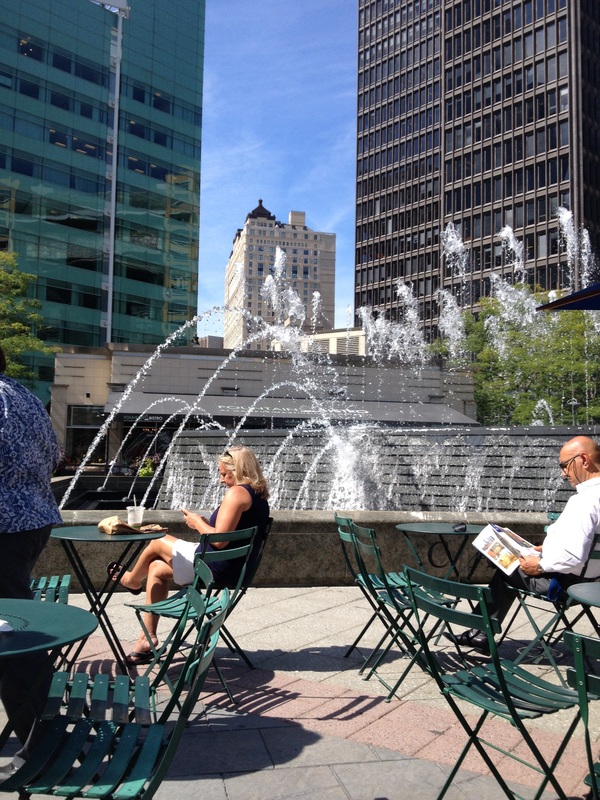 We were served a found seating by the fountain and Detroit Beach. Other than the bees and birds frisking me out beyond frustration, it was a beautiful way to escape the concrete and glass building we reside in for work purposes. It was all a blur this year. Between all the work and professional workshops, Sleeping Beauty Hair Garments was put on hold to establish a more secure foundation. This was a hard decision but I knew what needed to be done. Even with this acknowledgment, it managed to find it’s way into a few more homes and sleeping beauties. 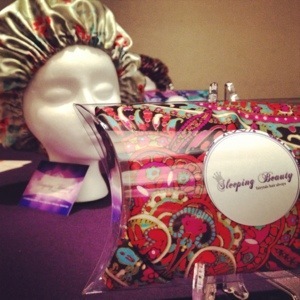 During The Powerful Women’s Luncheon, I met a young lady interested in having Sleeping Beauty Hair Garments available to her salon customers. 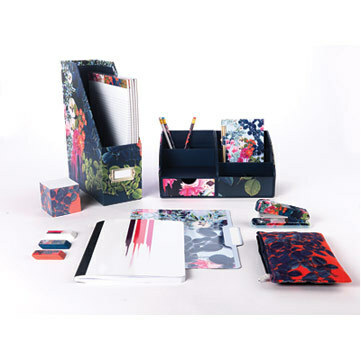 The introduction was well received and the customers were satisfied with their pieces. We had forged another great relationship with another local beauty shop. 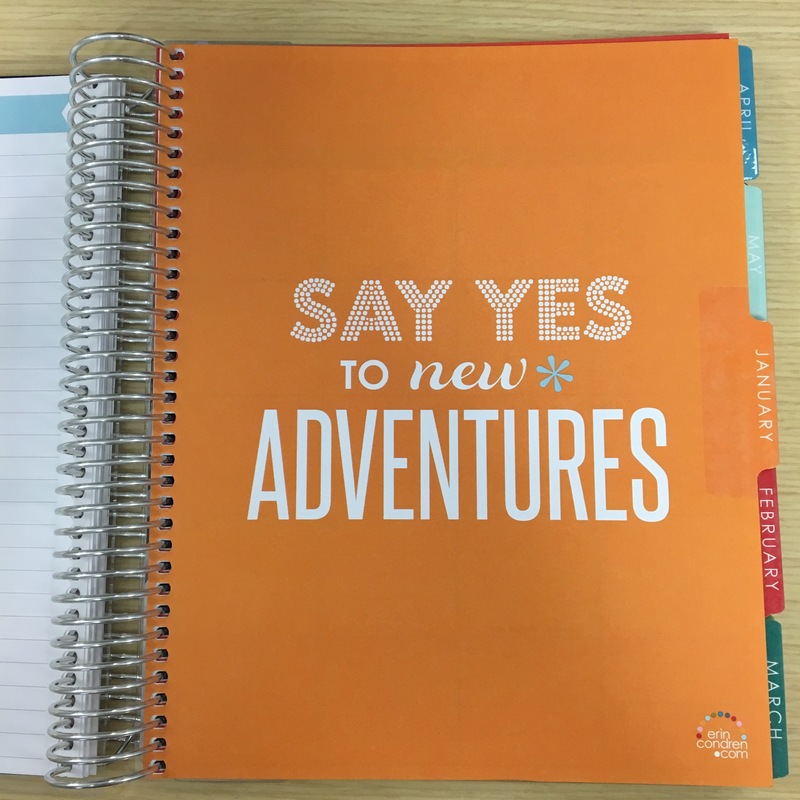 With this exciting news, I was determined to work on one of my goals for the company. Moreover, I wanted to make sure my product was protected. 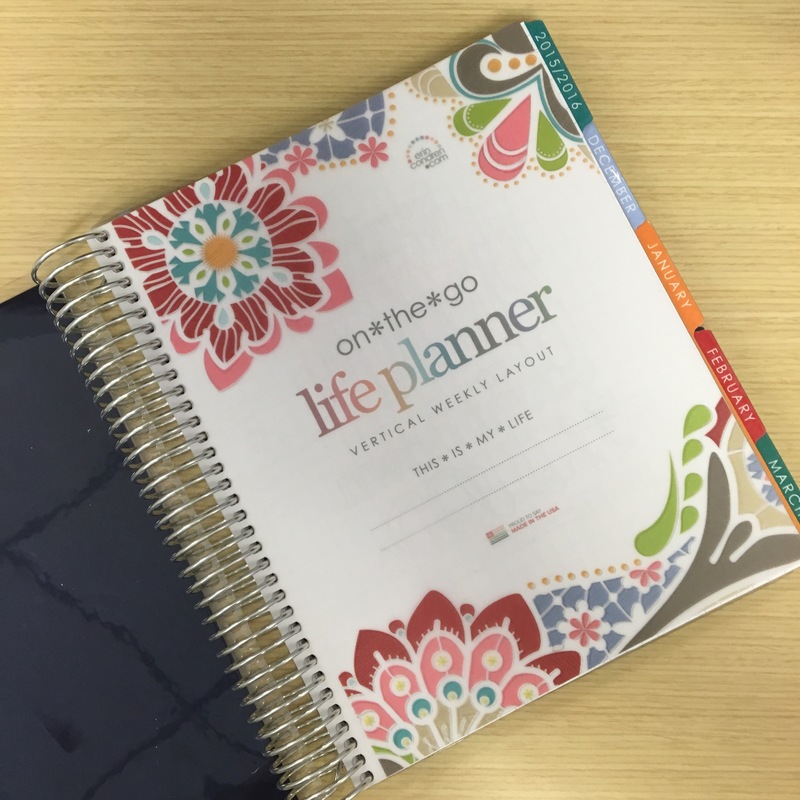 I purchased another marketing tool to move SBHG to the next level. These window clings will be placed in all participating salons selling the garments to the public. We’re currently working on building a website and product placement in more Detroit salons. I’m proud of the minimal growth we had this year. The plan for 2015 will guarantee people know exactly who Sleeping Beauty is, what we offer and why we’re the optimal source for these healthy hair tools. I knew it was coming and with great style I closed out the season with a bang! First order of business, was to take a much needed break from the job. That wasn’t hard to do with the amount of time I had accumulated. Let’s be honest! I like my job and some of the people there and we have a good time some days but we all deserve a break for a good time. 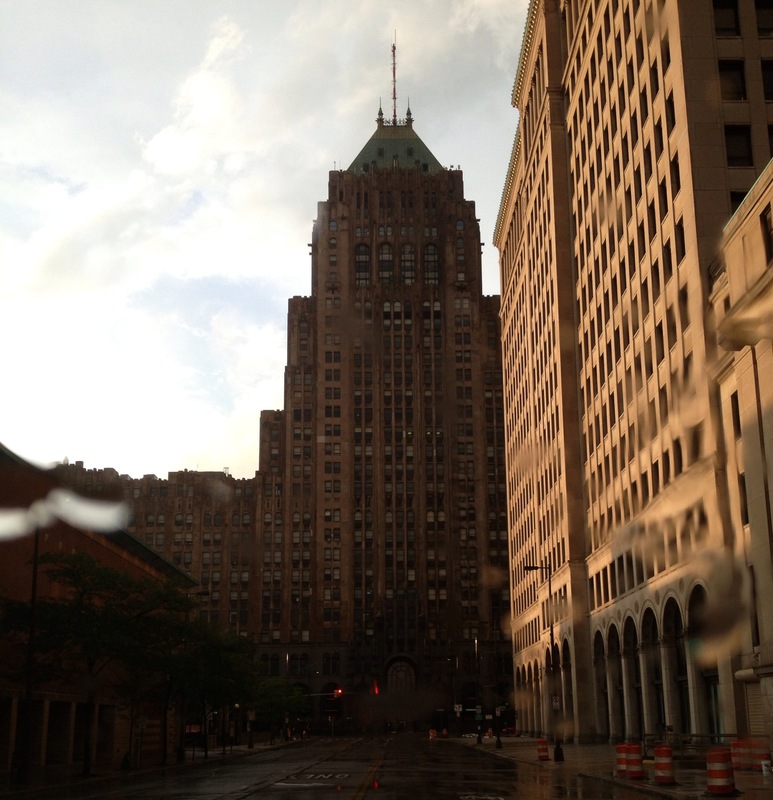 The main attraction for me as you all know was the Detroit Jazz Fest! However, this social butterfly keeps a full schedule of possible events and you know – they were waiting for me to show THIS FACE! The weekend for the Fest started off slow as the weather had taken a turn for cooler temps very quick. Friday evening was a no go because I refused to stand outside and be cold. With my schedule handy, I highlighted the other shows I wanted to attend during the rest of the weekend. Please remember this is the world’s largest open air free jazz festival. It was this year that I took notice of all the people that came from around the globe to experience this. The show must go on but I had another engagement Saturday afternoon that would delay me from the music. 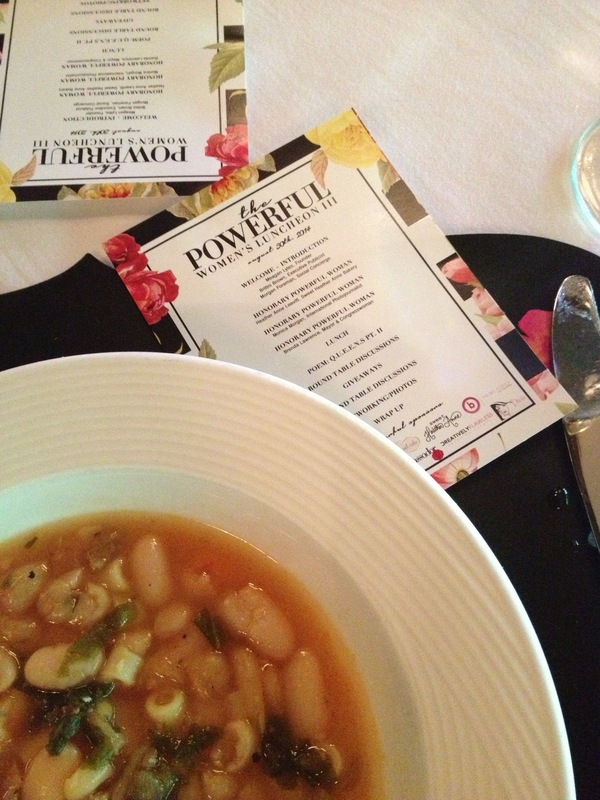 August 30th, I was in attendance at the Powerful Women’s Luncheon III. Dressed to the nines and prepared to hear some words of encouragement. Equipped with a clutch full of business cards and anxiety about networking, I drive to Andiamo’s Dearborn on a semi cloudy afternoon. (I’m really bad at getting pictures when I’m dressed up, lol – I guess that’s something I can work on!). In the company of over 100 women, we listened to inspiration from Monica Morgan and motivation from the Honorable Brenda Lawrence. As we listened to the message a lunch was served and we talked among ourselves about our plans, goals and purpose. One of the ladies I had the pleasure of sitting with was Cassandra, make up artist and owner of the Pink & White Salon in Southfield, MI. After hearing about what I do, she was very interested in Sleeping Beauty Hair Garments. Score! Always seems I’m in the right place at the right time. We also had the pleasure of meeting Shelli, a strong woman in the automotive industry with a vision to start her own business and Ms. Armstrong one of our gems within the educational system. I seemed to be too tuckered out when this was over and opted for a nap when I got back home. This threw a monkey wrench into my jazz plans again but I did make it to see the fireworks they presented this year. Here are a few images from the day. Sunday presented better hopes. The weather was nicer and I didn’t have any other plans. But tell me what you’re suppose to do when one of the nicest, most genuine ladies you’ve met in a really long time invites you to come celebrate her birthday with you and her name is Erica – Get Ready to GO! That’s exactly what I did. I got down the street as fast as I could in hopes of just hearing a little jazz before I transitioned into the current sounds of rap music, hookahs and booze all on the rooftop of Exodus. Who knew a roof top party would have an issue with heat? Me either and I felt like I was melting! Clad in my vintage Chicago #23 jersey & kicks. I ventured to find a spot that offered ventilation in an open air space. The night was young and everyone was having a good time. Shawn and I chatted with life long friends, caught up with recent acquaintances and drank. I noticed my sister was getting calls from our other siblings which were prohibited from entering due to the late hour. Once we made our exit who was sitting waiting for us to emerge – the rest of the gang. The night rolled on as we laughed, pouted, ate, drank, walked, laughed, drank and talked until the early hours of the morning. No more chances for jazz and me tonight. It was time to go to bed. Now it’s Labor Day which also means it’s the final day of the Fest and the unofficial end of summer. My mission was simple get to there and enjoy the music. In a calculated manner, I got dressed and on my bike to enjoy my last day of freedom. Shawn drove down and we walked, talked and listened to the sounds I’ve been captivated by since I was a young child. We covered a lot of ground before she had to report to work. I was waiting to see one person in particular Stanley Jordan. Then the announcer appeared with a delay of schedule message. After an unacceptable wait of an hour and a half the performance was postponed due to the lighting and thunder only present due to the thunderstorm on the horizon. We cleared the area and the rain came down hard and fast. I secured refuge in the Sweetwater Tavern in hopes of drizzle and a mini performance but it didn’t happen. As I drove away to the north side of town to see my mom, the rain stopped, the sun began to shine and I felt no disappointment as I rode through my city and watched the sun shine on us after the storm. There’s no doubt in my mind that this year was not what I planned for. However, it was everything I needed! I hope you enjoyed the season and found a few things to 🙂 about! 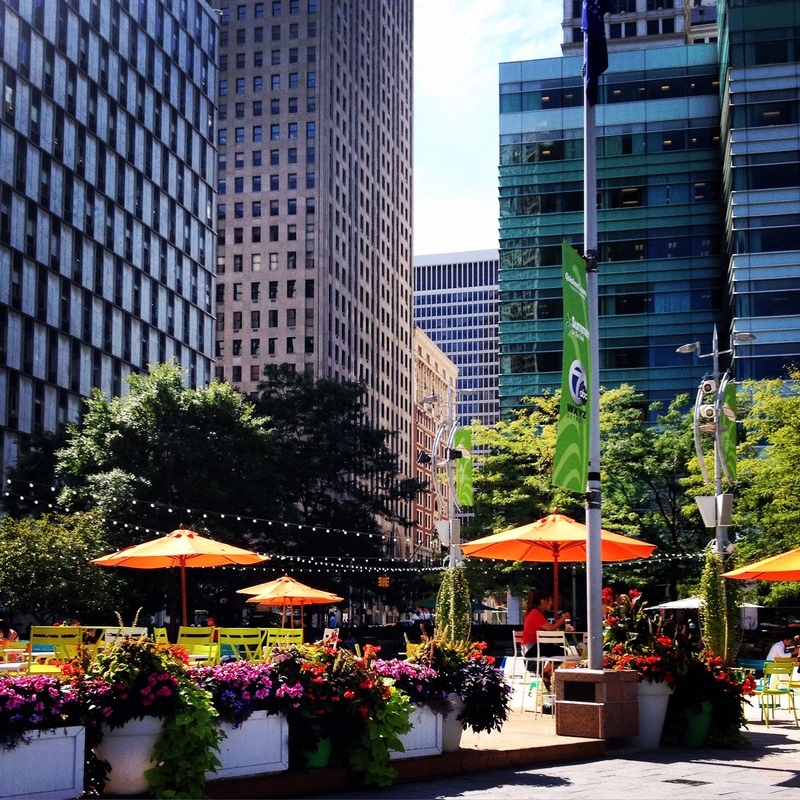 Here’s to a great summer in the one place I love most Detroit. 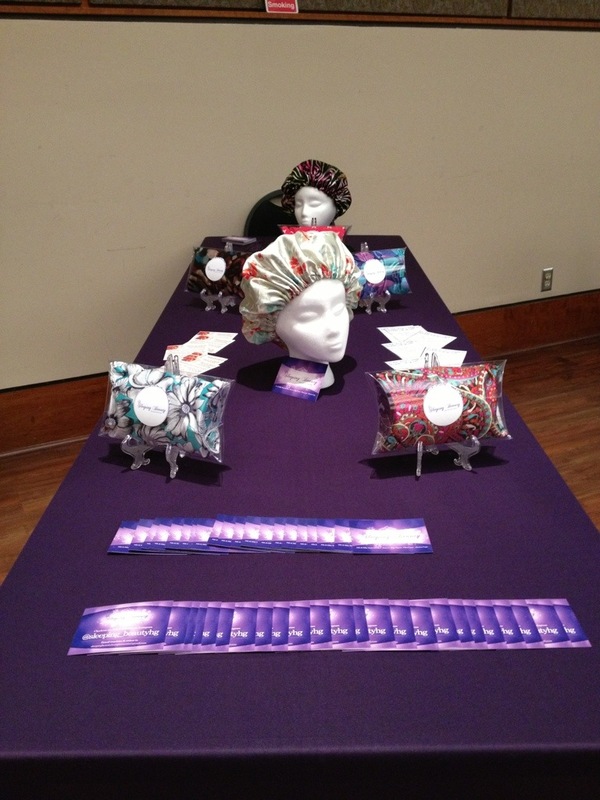 On June 15, 2014, Sleeping Beauty Hair Garments were physically presented to Detroit resident via the Beauty Showcase. In my preparation to have everything in order, I was pleased with the final decision about my set up. I’ve never been bashful about talking about the product and I was ready to share with everyone about the goodness of Sleeping Beauty! Let the show begin! The showcase was open to the public, full of vendors and products for purchase. My intentions were to come in and sale all the products in my bags. After draping the table and decorating my area to my satisfaction it was time for the guest to arrive. More importantly, it was the debut of my baby- SBHG! The stream of people was kind of slow and my poor empty stomach moaned for fulfillment. I waited, hairducated and conducted business as usual. To my surprise there was a great interest in the information I post via the Instagram page about treatments and hair care tips. 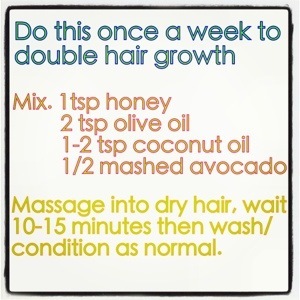 Am I becoming a voice in the natural hair care arena? The jury is still out on that one but I enjoy sharing the things I learn with others.